Scared I'll lose my daughter? My daughter is 27yrs old she has been addicted to meth for 7+ years and even had a stroke last year. No one knew she was using because there were no obvious signs. She worked for a gas station for almost 7yrs. She's never been in trouble with the law except when she was an adolescent so it really scares me she can hide her addiction so well. She told me last week that within a 2wk period she bought at least $1600+ in meth but refuses to get help because she said meth makes her feel "normal" for once and not depressed and sleeping 12-14hrs a day. I don't know what to do anymore, is there anyway I can force her to get help before she kills herself or do I seriously have to sit back and watch my baby girl kill herself?? Comments for Scared I'll lose my daughter? Your daughter has a serious brain disease that can be treated but for which there is currently no cure. Based on your brief description it sounds like she is addicted to meth and is also suffering from depression. Many, many times these two diseases co-occur and both must be treated for your daughter to successfully stop using. I recommend that you call your doctor or local hospital and get a referral for the best drug treatment center in your area. Then call that center and ask their advice and ask about the possibility of doing an intervention. The fact that your daughter told you is a critical first step in her recovery. She seems to be beginning to realize that she has a problem. You now need to help her to move into treatment and recovery. It isn't going to be easy or quick but never give up or give in. SHE MUST GO INTO TREATMENT! You should also find an Al-anon meeting that is supportive and go as often as possible. Al-anon is set up to help families of addicts learn everything about addiction and recovery. The better you understand your daughter's disease the more you will be able to help her to fight against it. Also, many churches have excellent support groups for addiction that you and your daughter could both attend. Strong support from God can make all the difference as you both battle this terrible disease. Thank you so much for your advice and input. I have called the hospital and they gave me the name and number for the best inpatient rehab here in town along with the number to detox but when I begged and pleaded with her to get help she refuses to take it. She said she'll cut back but that she doesn't want to quit because she loves the high from it. And my daughter had only told me how much money she spent on it because I caught her with her pipe in her purse. She had told me that she is a grown adult and that she is aloud to make whatever choice she chooses even if that means smoking meth. No one knew that she was using meth for all those years til she told us last year after her stroke. When she had her stroke it scared her straight for awhile but now it seems to have gotten worse after she woke up to her cousin molesting her in her sleep at the end of September. When I tell her if she doesn't stop that I'll have to bury her before it's my time to go she just looks at me with these cold and mean eyes and says 'we all have to die sometime we can't all live forever so I'm just enjoying the world the way I want to enjoy it'. I really don't know how to get my daughter to see she's shorting her life dramatically and that she is loved and cared about by so many but she refuses to listen and tells me to grow up and to stop whinnying and crying because me nor anyone else in this world will change her mind on it. Try an intervention and don't enable in any way. I'm so sorry to hear that your daughter acted so negatively when you approached her about going to treatment. What you need to realize is that the drug and changed your daughter's brain and now controls her completely, she really isn't your daughter anymore. If she gets treatment and stop using meth she will go back to being the person she was before, but right now the drug totally controls her. Because she has had a stroke, you must assume that your daughter is in VERY serious trouble and that any and all efforts to help are needed right now. She is in CRISIS and has a life threatening disease... meth addiction. I would recommend that you call the treatment center and enlist their help to get your daughter into treatment. Most good treatment centers have interventionists who specialize in working with addicts and their families to get them into the life-saving treatment they need. Don't try to do an intervention without professional help because it may make things worse rather than better. 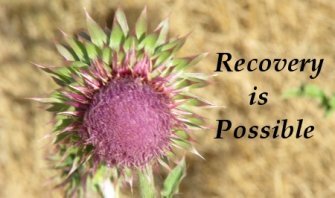 I also recommend that you begin attending Al-Anon or Celebrate Recovery meetings now; learning as much as you can about meth addiction. As a last resort you can also call the police and try and get them to arrest your daughter. She can't use if she is in jail and believe it or not jail may save her life. These are all VERY difficult choices but your daughter is well worth it, don't give up on her and don't listen to the terrible things she says because that is the meth talking not your daughter.